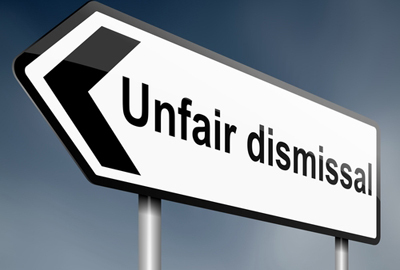 In the recent case of Ramphal v Department for Transport (“DfT”), the Employment Appeal Tribunal (“EAT”) found that Mr Ramphal had been unfairly dismissed due to the excessive influence of the employer’s HR department. A manager was appointed by the DfT to investigate and reach a disciplinary decision over concerns about Mr Ramphal’s expenses claims. The manager prepared an initial report which was critical in part, but also contained favourable comments. The manager’s view was that Mr Ramphal should be found guilty of misconduct and given a final warning. The manager then became involved in a 6 month dialogue with HR during which HR suggested various amendments with favourable comments being removed, the allegations being escalated to gross misconduct and the sanction being increased to summary dismissal. Mr Ramphal claimed unfair dismissal. The Employment Appeal found that the significant change in the manager’s approach as a result of HR’s involvement to be “disturbing” and said that Mr Ramphal had an implied right to ensure that the manager’s report was the result of that manager’s own investigations. HR should not have involved themselves in deciding the question of Mr Ramphal’s guilt. There is a fine line to be drawn between taking advice from HR and allowing them to decide the outcomes. If you are tasked with handling a disciplinary matter, the decision you reach and the penalty you decide to impose must be yours. Advisers, like the team at Newtons, can help you, but that help should be limited to questions of law and procedure. Advice between a client and their solicitor is subject to legal professional privilege, meaning that it cannot be disclosed during the course of a legal claim like Mr Ramphal’s. This is different to advice from the company’s HR team, or even their in house legal advisers. Whilst it has to be right that employers are the ones who make disciplinary decisions, because we spend our days advising other employers on how to deal with similarly tricky decisions, we can use our insights on how those other employers have acted whilst we give you practical advice on the legal and procedural issues. Should you need advice on any tricky employment issues, please contact me on tiggy@newtons.co.uk or 01904 409073. We promise not to sit on the fence!